It’s been quite some time since we have seen Final Fantasy VII Remake in action, but it seems like the wait won’t be much longer to see more of the actual game, at least according to the members of the development team. Speaking at a Final Fantasy VII Remake panel held during the Final Fantasy 30th Anniversary Exhibition in Japan, translated by Lifestream Forums member hian, Tetsuya Nomura, Yoshinori Kitase, and Naoki Hamaguchi commented on the current state of development. The team is currently working on the base technology for the game, likely referring to the gameplay basics. In terms of development, they say the game is progressing very very smoothly. They’re in the process of working out the base “technology”, I’d say in this context, refers to the primary game-play base for the game. They’re adamant they’re making “something we’ve never seen before” and ask us to “be excited”. The three also commented on the lack of info and new footage, teasing that something new will be shown in the near future. Kitase also teases something for the next big event, so we may indeed be getting something at this year’s E3. Hamaguchi goes on, after Nomura leaves, to comment on the long draught of info since the first trailers, and apologizes. He goes on to say that the project has moved completely in-house, and is again, progressing very smoothly. At the current point they’re at the stage where they’re basically cramming a bunch of stuff into the game, but once they hit the stage of polishing up the look of things and can deliver something with suffuciently high quality, they will be releasing new footage. He anticipates this will be in the near future due to how smoothly things are progressing. He then however, also goes on to say that a lot is hanging on the next (presumably big) event, and that they’re hoping to show off (the game) by then. Tetsuya Nomura also commented on the new Cloud design, which has yet to be shown. Highlighting once again that it’s different from the one that we have seen in previous footage, the new design captivates best the real nature of the character. Nomura says that this version of Cloud is probably the closest visually to capturing the personality of the original Cloud I.E to clarify this phrase that’s been thrown about so often from the partial snippets we got a while back – Nomura is commenting on how the visual design reflects Cloud’s persona, and they go on to say that visually, they’ve designed him in a way that captures the way Cloud was not a cool guy in the original game – how he was actually a f***up just putting on a strong front. They say he looks “real/very very young” this time around, and contrasts him to the AC Cloud, implying a very drastic change from that. 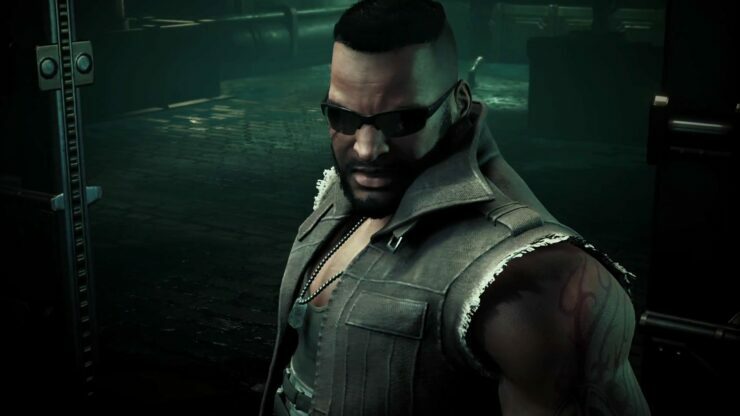 Final Fantasy VII Remake is currently in development for PlayStation 4.